hoodrich pablo juan t-hood tight Trap Anthem: @TheRealThood ft @Hoodrich_Pablo "Tight"
Trap Anthem: @TheRealThood ft @Hoodrich_Pablo "Tight"
Right now T-Hood is picking up attention online. 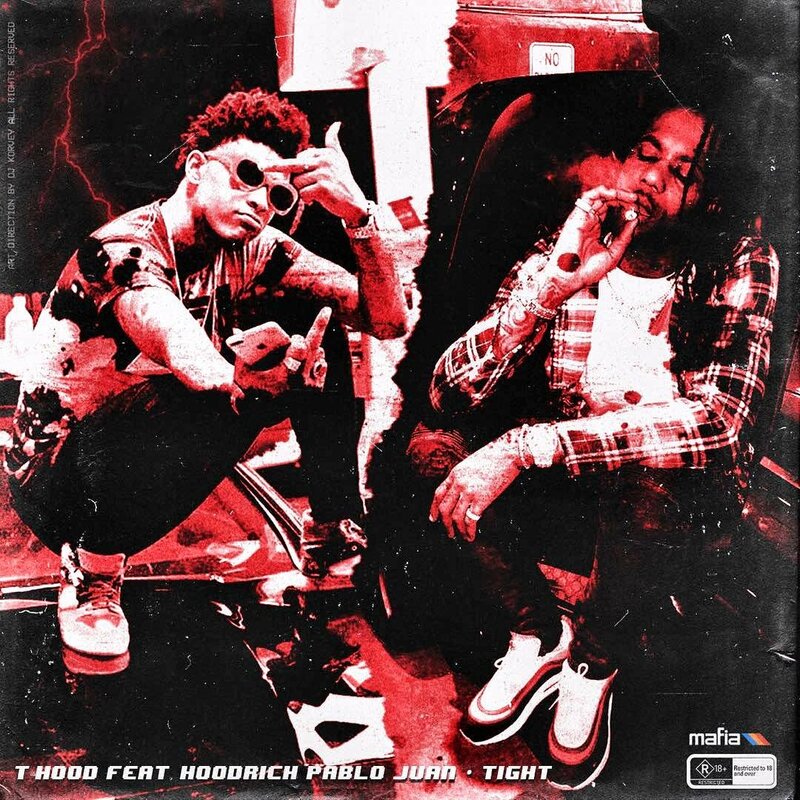 He's known for his one dread and putting on for Stone Mountain, Ga. His new record "Tight" features Hoodrich Pablo Juan. It's produced by DJ Plugg and this record is like no other. The hook is next level and T-Hood is not slowing down anytime soon. His sauce level is leveling up and T-Hood is moving around the city the correct way. Check out tis trap anthem below.